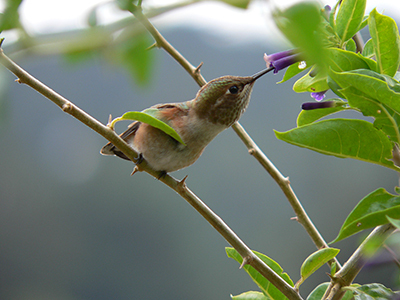 While winter birds are still abundant in the garden, this month we will be looking for the earliest of our spring migrants: Rufous and Allen's Hummingbirds flying north from Mexico. Rain or shine! We suggest bringing binoculars if you have them, and layers in case it is a chilly morning.